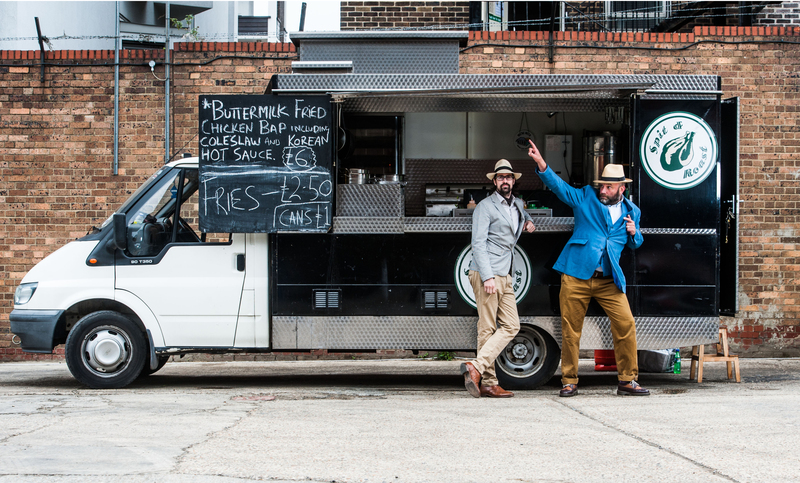 Spit & Roast was created by the brilliant duo, Justin and Ross, who were inspired by the rotisserie vans they found in the street markets of France, Spain and Italy. With a decade of restaurant experience behind them, it was time to take the concept of simple roasted meats and sides to the streets, where they very quickly saw the need for 'handheld' dining options. 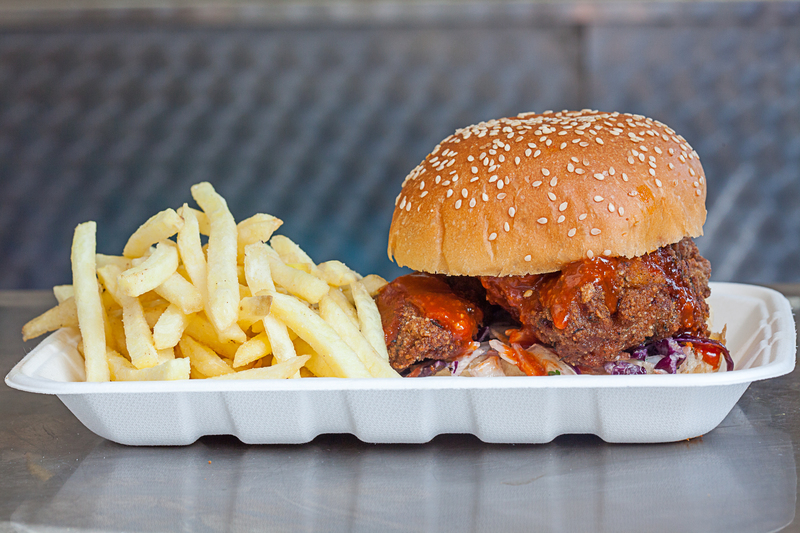 They were one of the very first street food traders in the country to offer an upscale version of fried chicken, using high-quality meat, marinating it in buttermilk and frying with care and expertise. 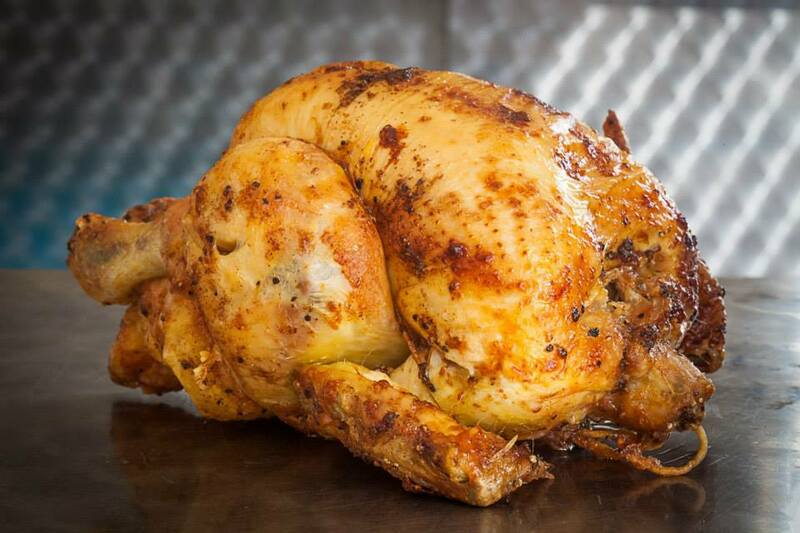 They use the finest meats as a starting point - Banham's Norfolk chickens, Blythburgh pork and lamb from Rare Breed, with the chicken and pork sourced from their wonderful East London butcher, Peckover. 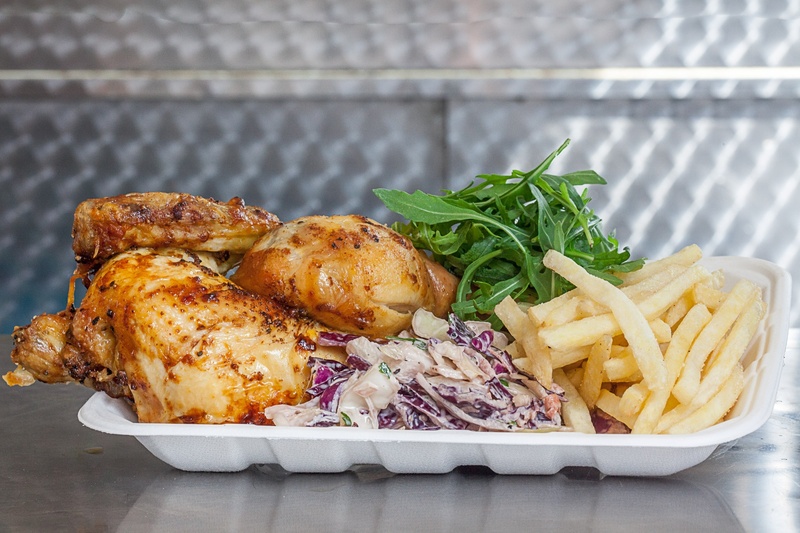 Sides such as freshly hand cut slaw and their renowned mac ‘n’ cheese are prepped daily on the truck, with all their vegetables sourced from the UK when seasonally available. Spit & Roast have become widely known for their Korean-style hot sauce, based on a friend’s family recipe from a restaurant in Seoul. 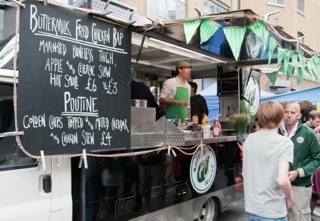 Their truck 'Bessie' is smart, eye-catching and totally self-contained with all cooking facilities on board. For high volume events, they utilise a gazebo set up out back to more than double output, whilst retaining the same impressive facade. 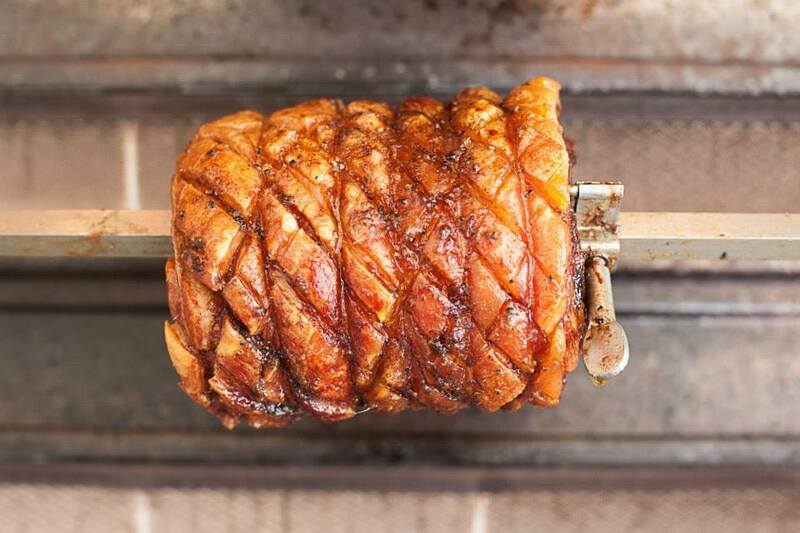 Book Spit & Roast to cater your next event right here on Feast It!